Game season = party season! Bring on the Sunday gatherings around the TV, the extra excitement cheering on your favorite teams and the finger-foods that will keep your guests reaching for snacks all season long. Sunday football calls for easy recipes and snacks, lots of drinks and a stress-free Sunday. 1. Make a game plan! Chances are you’ll be hosting more than just one Sunday football party this season. 8 away games shouldn’t mean 8 new menus or ideas. Think strategically about what you plan to serve this season and stick to it. Instead of trying to come up with something new every game, start the season with a new recipe that your guests will love to have served up all season. Try a new wing recipe or special dip. Consider this your chance to debut your signature dish of the season. 2. Stock up! If you have the extra room to store bulk items take advantage of stocking up for the season. If you know you’ll be serving up beers, sodas and waters, plan ahead and buy enough for the season. Eliminate the last-minute hustle of running to the grocery store before kickoff. 3. Play like a team! There is no “I” in team. 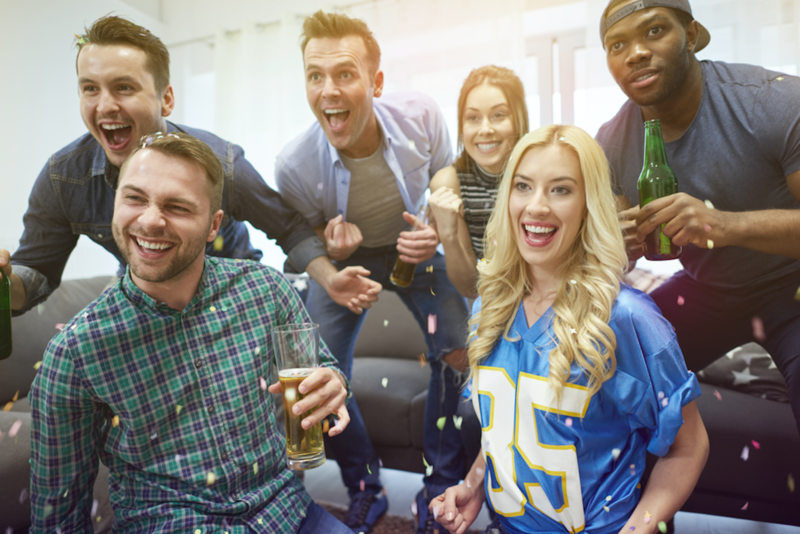 Hire party staff in Denver, San Diego and Sacramento to set-up, serve-up and clean-up your gatherings so you can enjoy the game from the couch rather than the kitchen. Insider tip: you can book your KrooMembers online all season and enjoy 48 hour confirmation emails letting you know the details are taken care of. Follow these 3 easy football party tips to guarantee a big win this year!